226 pages | 6 B/W Illus. This book provides new insights and makes at important contribution to existing debates. 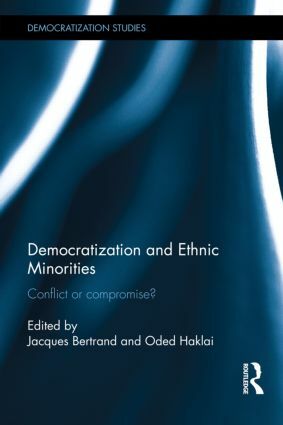 Democratization and Ethnic Minorities will be essential reading for students and scholars of democratization, nationalism, ethnic conflict and ethnic politics, political science, history, and sociology. Jacques Bertrand is Associate Professor of Political Science at the University of Toronto, Canada. Oded Haklai is Associate Professor in the Department of Political Studies at Queen’s University, Canada.